I had an opportunity to ask Daniel Joseph some questions about the new Hatbox Ghost figure, which he designed. Long-Forgotten: I understand you are quite an admirer of Yale Gracey and know quite a lot about him. Is this something that developed while you were with Disney, or was it already a special interest before you became an Imagineer? If so, was it something that motivated you to apply to Disney in the first place? How did you become so fascinated with this particular Imagineer? Daniel Joseph: I grew up on the east coast in Delaware, not really close to any Disney park. It was a very special occasion to take a trip down to Orlando (or Anaheim when I was a teenager) to see Disney Theme Parks. Ever since I was very young I would tinker and take things apart as well as create new things. At about age 11 I got into making haunted houses in our basement and building homemade fog machines, mirror effects, basically anything that went into the haunted house was homemade. This was my absolute joy, since I grew up with some learning disabilities, my haunted houses gave me a creative outlet that I could "one up" my friends in school that could read better than I or do arithmetic faster than I. They became bigger and more elaborate every year. It was soon after I started my haunted houses that we went on a family vacation to Orlando. I had a life changing experience on two attractions specifically. The first was of course, the Haunted Mansion. I had been on it before as a younger child but this time something happened to me. I was utterly fascinated and hooked. How could these illusions happen right in front of me, it couldn't just be "movie magic" because this was live, real life! The second attraction was Horizons in Epcot which blew me away in its scale, and feel. The theme song "if you can dream it then you can do it" literally spoke to me. I would go back to the hotel room with my family and build things I had seen in Horizons out of pens I would take apart and pieces of various things I found in our luggage. This Walt Disney World trip was a real turning point in my young life. I never before asked myself "what do I want to do when I grow up". I now knew the answer to this question, there have to be people in the world that made places like the Haunted Mansion and Horizons and I want to be one of them! I didn't know anything about Imagineering yet but I would make it my goal and quest to find out. I started scouring books, websites, and asking friends of friends who knew people who at one point who had some loose affiliation with Disney. At this point is when I learned about Yale Gracey. Everything I read about him made me more and more interested. I also felt a kinship and very shortly he had an "idol-like" status to me. He was my "Michael Jordan." This was someone whom I felt had such a quite intellectual brilliance that I could only hope to have one day. I put a framed picture of good ol' Yale on my bedroom wall with written description of "Illusioneering" and set my tunnel vision sights to that! The rest is history, I guess! Long Forgotten: Do you have any Yale stories that are not generally known but would be of interest to Haunted Mansion fans? We know about his personal ghost story from childhood and some other general things such as his membership at the Magic Castle, and we know what effects at the HM were wholly or partly his doing. What is something we probably don't know? The second comes from a speaker series that WED Enterprises (now Walt Disney Imagineering) put together during the EPCOT days where management would bring in Walt's Imagineers to give lectures to the new generation. In this talk, which was recorded as were all the talks, Yale spoke (which was a treat as I never had heard his voice before) about problem solving and inventing. 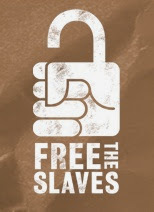 If it didn't exist, they would create it! A great example he gave was the fog machine. In the mid 1960s you couldn't go to the local Halloween store a buy a fog machine, they hadn't been invented yet. Yale explained the process of creating a very elegant, simple fog machine for the parks. Possibly the first in the world! These stories are treasures to me and I keep getting new ones from various Imagineers still at WDI. Long Forgotten: I realize there are limits on what may be said here, but basically what I would like to know is whether the HBG you developed and we are now enjoying was a project developed from scratch or whether you worked in continuity with earlier efforts. Daniel Joseph: The Hatbox Ghost has been a favorite of many Imagineers for years. There have been many pitches to try to get him back. Most were just not at the right time and appetite for the park. 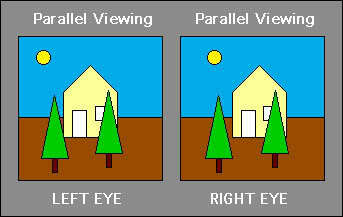 There was a pitch several years ago in which a model of a version of the illusion was even created. It was very promising and clever but needed a lot of room as well as couldn't allow the figure to move without a very complex arrangement. A few years later and tangentially to the above, I and a few other passionate Imagineers were reinvigorated by the positive response to the impromptu figure we did for Disney’s D23 Expo. This got me thinking about the illusion and I came up with a mockup which I built and pitched to several people at Imagineering. I think our show producer said it best when I demonstrated the effect really close up, "You did it!" I had to trigger the effect several times and have people walk all around it to have them understand what was really happening and how it worked. That for me was the biggest compliment. I am a firm believer in building ideas into working mockups. This is the only way to prove them out as well as get everyone on the same page creatively. 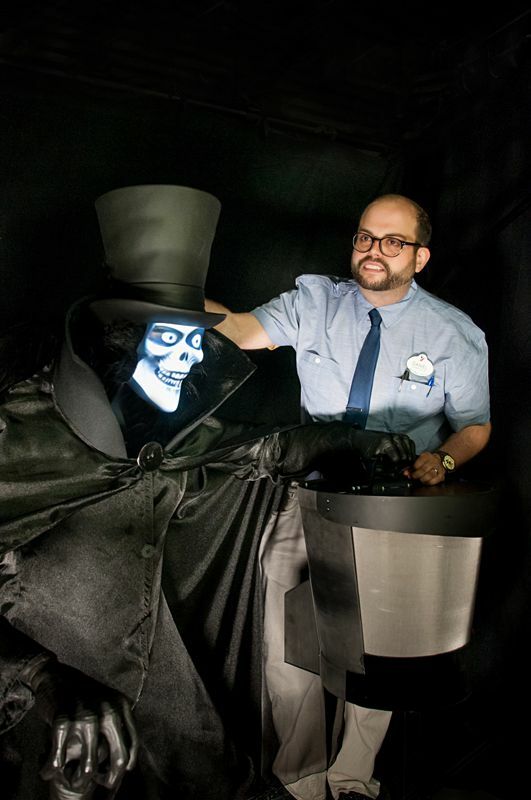 This was the process for the Hatbox Ghost illusion and really helped get things off the ground. Daniel Joseph: From the beginning I wanted to keep the illusion as practical as possible. As a team we kept to this mantra because we were all fans of the Mansion from both a look and feel standpoint but also a place in time. The Haunted Mansion was created during an amazing time at WED and has the soul of that time period within its walls. The question was how could we create a figure that would match the design vernacular of the rest of the show? As a team we divided and conquered this issue and came up with what I thought was a really good plan. Our show producer, Jeffrey Shaver-Moskowitz was able to locate the original plaster tool used to make the fiberglass shell of the figure’s face from 1969. We made a casting from the tool (which still is labeled hatbox figure!) and then 3D scanned the positive. I then went to our Imagineering library and located some very high resolution images of the figure which are pretty good front and side views. Then our digital artist texture-mapped these pictures right onto the 3D data which we had scanned before. He was even able to rig the piece so it could be 3D animated to blink and snicker. The result was a very analogue hand-made looking 3D model which even has brushstrokes and finger prints from the photograph of the original figure! This proved great and we all felt really good about moving forward with the figure. We had to restrain the animation as well to follow the character of the air-actuated, solenoid driven figures in the attraction too. Of course the digital face COULD do anything but that was not was we were setting out to prove. I come from a background of trying to find the simple and elegant way to do things. That said, almost all magic is done this way, which is really what makes it magic in the first place. All of Yale’s designs followed this mantra, a kind of design Zen which made them look amazing, and stay maintainable over the years in a theme park environment. It is important that we as Illusioneers following in Yale’s footsteps really drive this home since the technology we have available is only a means and a tool, not the end result. A really important guiding principle of many Victorian magicians and Phantasmagoria shows was to make your audience believe by having them think they know how an illusion is done, then shattering that notion! This was something I wanted to do from the start with The Hatbox Ghost effect. By “rolling up our sleeves and showing there is nothing hidden” I think we were able to create a really convincing illusion. The “rolling up our sleeves” part of course is the proximity of the figure to the track. This was to take any hindrance of doubt left and allowing close-up magic to happen, on a ride! Long Forgotten: How long did this project take? About how many people were directly involved in it (if that's okay to talk about)? I guess I want to know how major a project this one was considered at WDI. Daniel Joseph: The project took 1.5 years from mockup and pitch to installation. About 10 core people from several different disciplines made it happen. The whole effect, figure, artwork, everything was designed and built in-house at Walt Disney Imagineering. The figure is truly a Disney product in every way. Long Forgotten: Virtually every explanation about why the original HBG didn't work mentions that he was too close to the track for the face to completely disappear. On the other hand, many have noted that the new HBG is surprisingly close to the doombuggies as they go by. Do I detect a certain swagger over so convincingly licking the problem, or am I reading too much into that? Long Forgotten: Thanks for your time, and congratulations.